I have spent most of my life adventuring and exploring. I’ve always had a passion for travelling, even as a little girl studied travel brochures and enjoyed road tripping with my family. I have had the opportunity to visit over 30 countries worldwide, which has led to developing a passion for travel guidance and helping others see how to travel differently with a focus on wellness and adventure. I am a true wanderlust yogini, mindfulness guide and global adventurer! I graduated from University in Canada with a Bachelors of Commerce with Honours degree specializing in Tourism Management. I immediately started to work in a fast paced, demanding corporate job within the Tourism and Concierge industry working for an elite lifestyle concierge company that was partnered with many Fortune 500 companies. I had worked in various capacities focusing on Recruitment, Customer Experience, Marketing and was a Virtual Personal Concierge for many VIP clientele as well as became a Certified TICO Travel Consultant. After over 10 years of the “daily grind”, I experienced “corporate burnout”. I luckily learnt to de-stress through yoga and meditation and how to live a more holistic balanced lifestyle. I realized something was not aligned and decided to follow my heart and dreams choosing to live the life that I had always envisioned! After a life-changing yoga retreat to Costa Rica in which I learnt self-care and mindfulness, is when I began my desire to share this transformational experience and retreats with others. I left the conventional corporate world and returned to live in Costa Rica; living and exploring the country visiting wellness destinations as well as connecting and guiding others to discover a Pura Vida Lifestyle as well through my concierge service and consultation. Read some LOVE LETTERS from a few travelers I have helped to guide over the years. My education, work experience, and wellness lifestyle have led me to dedicate my life to consulting, inspiring, connecting and guiding others to find their wellness destination whether it be a wellness getaway or retreat experience. Follow my personal journey on Instagram toward my Pura Vida Dream and this heart-felt business Souljourn Adventure . I am passionate about promoting wellness and go beyond a typical travel consultant or agent. 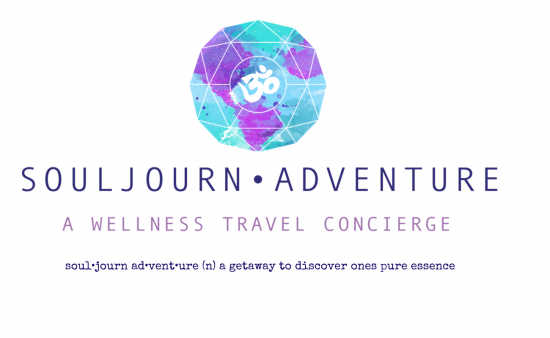 I provide a high touch level of wellness travel and lifestyle concierge services and am committed to helping others to discover their soul-filled journey and re-dsicover their pure essence. My objective is to ensure each client is guided to a wellness destination in both mindset and location. Check out my unique Concierge Services and Guidance which are available to travelers, teachers and destinations. I have travelled to over 30 countries including all over Europe, Australia, Bali, Thailand, Central, South America and North America. My journey of guiding others had begun in Costa Rica but my wanderlust heart wants to continue to explore and there are so many wellness destinations around the globe. I love to recommend Costa Rica, Belize, Mexico, Muskoka, Vancouver Island and others as wellness destinations. Follow my travels and journey! 1. What does your perfect vacation look like? Definitely an authentic and true Wellness getaway experience! Beautiful picturesque zen peaceful surroundings amongst nature, practicing yoga or meditation daily, eating healthy good local fresh meals, being comfortable and cozy, being in, on or around water, outdoor activities, amenities with a wellness focus, spa treatments, connecting with locals and local artisans and of course lots of local adventures and explorations! 2. What is your most favorite travel memory? Road tripping with my family travelling across the US in our family station wagon exploring local zoos & aquariums, rivers, mountains, beaches and fun amusement parks. The ultimate fam jam roadtrip adventure, there is nothing better than jumping in the car and exploring the path unknown with or without a map! 3. What is the scariest trip you have ever taken? By far that very first solo trip to Costa Rica that ultimately became the most life changing and transformational experience for me! It was such a profound experience pushing through the fears and unknowns. 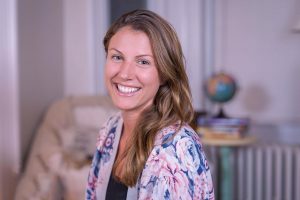 I would love to share with you more about my personal journey and experience and why I feel you should take a solo trip or retreat! Book a consultation with me to learn more. 4. Stranded on an island… what are three things you would pack? A Journal and pen, My Essential oils (doTERRA being my favourite and cannot live without!) and a stack of Nat Geo magazines so I could look at all the beautiful photography! 5. Finish this sentence: If I couldn’t ever travel again, I would…. Totally Dream as if I could! Look at travel photography and magazines, explore Pinterest and read all about travel and destinations. And of course help to inspire others to travel to the places of their wildest dreams! 6. Where are your favorite places to travel? My absolute favorite destinations around the world are Bali, Indonesia; Ilha Grande, Brazil and of course all over Costa Rica (Lake Arenal being my absolute favourite area!). I’ve now spent five winters in Costa Rica and there is a reason I continue to go back and love it! All these places all offer raw beauty, wellness options and adventures. So grab your passport and Lets CONNECT!